Mercedes-Benz issued a public apology, responding to Chinese authorities’ reaction about the use of a Dalai Lama quote in one of their advertisement campaign. 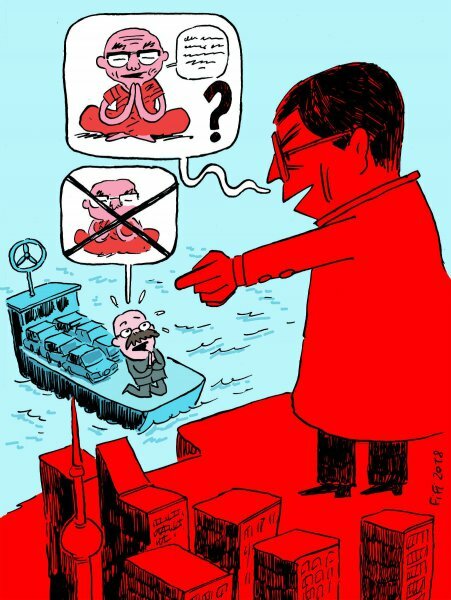 The International Campaign for Tibet (ICT) condemns this act of giving in to Chinese pressure and blames Mercedes-Benz of exporting Chinese censorship worldwide. Similar events in the recent past have shown that Beijing gets more and more emboldened to not only suppress minorities’ rights within its own borders, but also seeks to extend its reach internationally by pressuring other countries’ governments to curtail Chinese minorities’ rights abroad. The International Campaign for Tibet (ICT) is dismayed to learn that German carmaker Mercedes-Benz had apologized to the Chinese authorities for using a Dalai Lama quote on its Instagram page. Reuters reported that Mercedes-Benz had posted an advertisement for its cars on Instagram with a quote from the Dalai Lama: “Look at situations from all angles and you will become more open”. The post quickly attracted the criticism of Chinese netizens, despite the fact that Instagram is not accessible in China except through VPN connections.